Awaiting you between Berne, Brig and Zweisimmen are lots of unspoilt countryside and countless opportunities for leisure activities. Climb on board and discover a very special part of Switzerland with the RegioExpress Lötschberger train. There is something to suit every taste in the Lötschberg region, as well as plenty to see and experience, whatever the weather. An exciting hike along the Lötschberg mountain line or a fast-paced mountain bike tour? 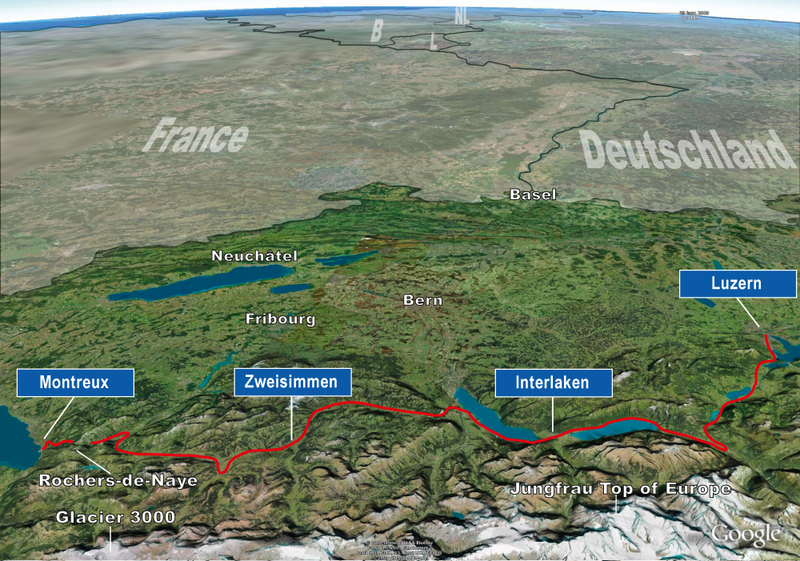 A breathtaking journey on the mountain railway or a challenging climbing tour? A summer toboggan run with the family or a romantic tête-à-tête in a mountain restaurant? A visit to a spa or a fascinating museum? The choice is yours. 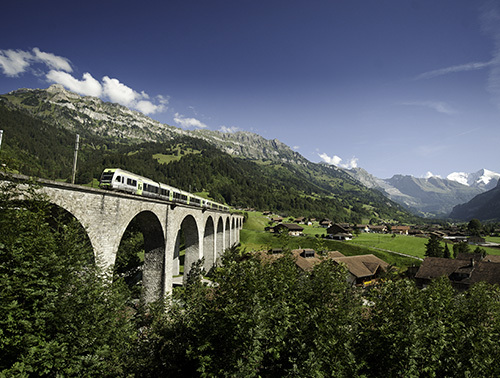 The BLS RegioExpress Lötschberger train takes you quickly and comfortably to the most varied excursion destinations in the Bernese Oberland and Upper Valais. 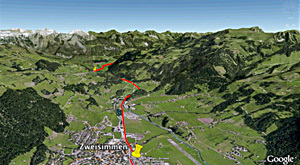 Or combine the GoldenPass and Lötschberger – a couple of railway classics – and experience a unique round trip by train. 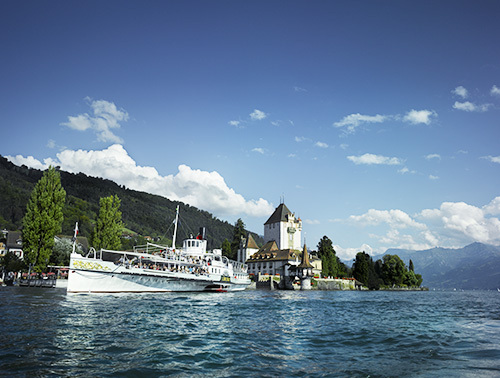 Take to the water on Lakes Thun and Brienz to enjoy fabulous views of the impressive mountain scenery or historic castles and romantic waterside locations, not forgetting to combine your trip with a fine lunch. Or experience an unforgettable sunset during an evening round trip on the lounge boat “OaSee”. We have the right thing for every taste. By the way: our boats also run in the wintertime on Lake Thun. Needless to say, a boat trip on both lakes of the Bernese Oberland can be perfectly combined with an excursion of your choice. It’s worth taking a detour from Lake Brienz with the one-of-a-kind steam rack-and-pinion railway up the Brienzer Rothorn or with the first funicular railway in Europe to the legendary Grandhotel Giessbach. We also recommend taking a guided tour from Lake Thun through the legendary St. Beatus caves or a trip up the Niederhorn with a unique view of the world-famous mountain trio: Eiger, Mönch and Jungfrau. The BLS fleet comprises 13 boats, including our two nostalgic paddle steamers, the “Blümlisalp” (Lake Thun) and the “Lötschberg” (Lake Brienz). BLS can offer you a broad range of exciting ideas for excursions by train, bus and boat between Solothurn and Brig, as well as between Neuchâtel and Lucerne. Public transport gets you there easily and comfortably, and offers a relaxing return journey. In the case of many excursions, you can also take advantage of special prices and supplementary services.